The biggest event for the worldwide plastics & rubber machinery industry is the annual ChinaPlas - China International Exhibition On Plastics & Rubber Industries from April to May every year. One year in Guangzhou and the other year in Shanghai, ChinaPlas as Asia's No. 1 and the world's No. 2 plastics and rubber exhibition, It was held in new pavilion - Shanghai Hongqiao National Exhibition and Convention Center. There are eight exhibition halls with an area of more than 240,000 square meters, is the second largest building and exhibition complex in the world. 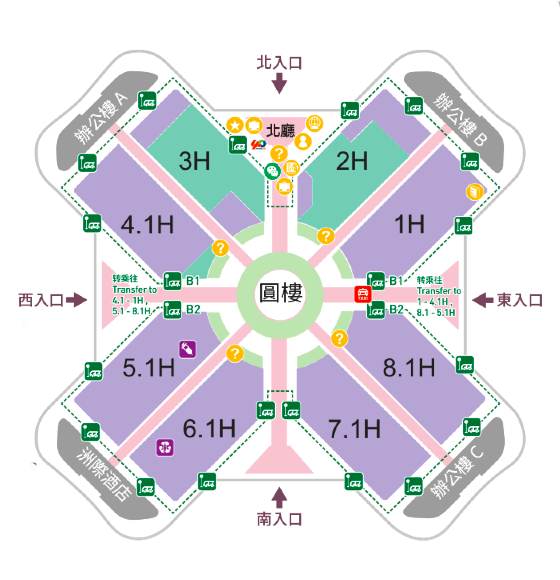 The pavilion route was planned petal-shaped, the distance from the center round building to other pavilions are the same, greatly reduce the distance and time for the visitors. The only drawback was the traffic congestion, at the beginning and the end of the exhibition, nearly ten thousand people were stuck around the exhibition. CHUMPOWER is located at Hall 8.1, where most of the blow molding machine manufactures gather here. CHUMPOWER demonstrated the PL-CSS6-38 and CPSB-SS10N one stage injection stretch blow molding machine which combined AOI visual inspection and robotic arm to take out packages. From production, quality control inspection and the packaging were completed at once, attracted many visitors’attention and stopped to inquire. In addition, we set up a live stream of Taiwan PET Stretch linear blow molding machine CPSB-LS6, after optimization and upgrading, one cavity can up to 2250 BPH, the capacity is almost reach to the rotary blow molding machine. The customers were surprised and admired by the fastest linear blow molding machine in the world. CHUMPOWER also demonstrated a brand new intelligent blow molding production solution – BottleViewer. 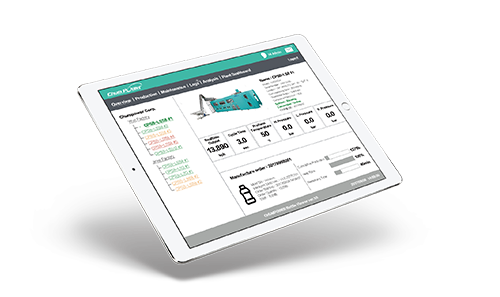 The customers can quickly acquire all the CHUMPOWER blow molding machines production information in the browser or handheld devices through the Plantet Dashboard at a glance. Which includes production process, machine condition and such monitoring functions. The advanced version also provides energy consumption analysis, production cost analysis and management of molds and production order. With the fastest LSS8/LS6 CHUMPOWER blow molding machine one cavity can up to 2250 BPH, easily introduced into “Industry 4.0”and meet high-capacity requirements from the customers. BottleViewer provides online repairs and reminds related maintenance, customers can directly complete the repair operation on the handheld device. Every information from the machine can be fully notified by the CHUMPOWER sale service team at once, directly communicate with the online engineer, makes maintenance simpler. Customers can choose CHUMPOWER Smart Mold on demands, with BottleViewer mold management system, can easily manage mold inventory, and also combine with production work order, even can download production parameters through the cloud, to achieve the goal that just hang on the mold starts production. At the exhibition, worldwide buyers gather together in CHUMPOWER booth, from Middle East, Africa, Southeast Asia, Americas, and even European customers, came to seek high cost-performance blow molding machines、high capacity blow molding machines、high quality bottle solutions, whether preform/mold design or whole plant planning、smart factor planning, CHUMPOWER is always the best choice.